Greetings from Andy Gesner and the whole gang here at HIP Video Promo! Today, were thrilled to be able to send you the latest clip from one of the most original and remarkable new voices in independent music: Antony, of Antony & The Johnsons. The New York City vocalist possesses a tremulous, affecting multi-octave instrument alternately reminiscent of Devendra Banhart, Nina Simone, and Jimmy Scott. Those who have heard Antony sing will never forget it and those who haven’t heard Antony sing should prepare themselves for an experience of profound emotional intensity. Dress warmly, as you will get the chills. Five years in the making, Johnsons sophomore release I Am A Bird Now has already found a mass audience. The album has sold like wildfire and Antony & The Johnsons have sold out stages in Italy, Belgium, and Scandinavia. “Hope There’s Someone”, the radiant second single from the album, was the Song of the Week on the BBCs Radio 1 last week. An underground, offbeat phenomenon in its conception, this wholly uncompromising act is surfacing on the strength of its enthusiastic audience. But then, Antony & The Johnsons have always had influential fans. Devendra Banhart and Rufus Wainwright have been flying the flag for the act for several seasons. Antony supported Lou Reed on his 2003 tour, and left crowds, and the headliner himself, speechless with his cover of “Candy Says” (and yes, that is a shot of Candy Darling on the cover of the album). All three of these artists make brilliant guest appearances on I Am A Bird Now, but its the turn by Antony’s hero Boy George that really raises goosebumps. Antony’s ability to draw sympathetic and complementary performances from legends is testament to a salttunning vision and voice that seems to have been conjured by the luminous spirits of urbane art song. “Hope There’s Someone” is weary, aching, and heartbroken, a bit strung-out and bleary-eyed; a brandy-soaked, smudged-mascara masterwork. Antony’s voice soars above a delicate piano figure, trilling lyrics of longing and abject fatalism in a falsetto that is positively otherworldly. 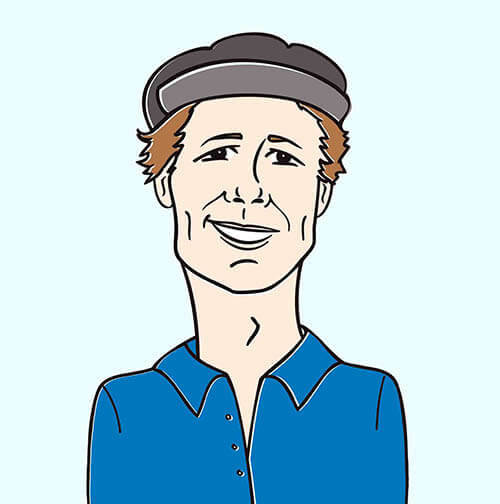 Three verses into the song, the piano player breaks from his arpeggios and begins banging out chords with something bordering on rock and roll urgency and the vocals bleed into a wordless wail. Multi-tracked, they feel like a choir from the other side: remarkable and haunting in their purity and harmony, a little frightening in their otherworldly consonance. Finally, the fever breaks and the pianist returns to a faint, broken figure as Antony intones the last passage before fading away. The video for “Hope There’s Someone” extends Antony & The Johnsons fascination with androgynous downtown New York City club culture. Its star is model and veteran scenester Joey Gabriel. Were shown her in bed, but its not what you think: fully-clothed, she stares at the ceiling with an inarticulately longing. Director Glen Fogel gives us close-up shots of her tired (though still beautiful) face and stockinged feet, and as she tosses on the mattress, his camera becomes grainy and drugged. This is a visual representation of hypnogogia: that moment between sleep and waking when the world drifts in and out of focus. At one point, it appears that a filter has been used to black out part of the top of the screen but its merely Gabriels dark-clad arm, sweeping in slow motion across her face. She scatters flower petals on the mattress and smoothes her pillow, but we know shes doomed to half-wakefulness: her silent, unspoken tormentor has her, and won’t let her go. As a study in late-night restlessness, Fogels clip matches the songs quiet despair. 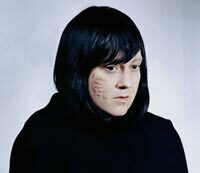 Antony and the Johnsons are currently on tour in Europe. If you would like to get extra copies of the new CD for on air giveaways call Andy Gesner at 732-613-1779, or email HIPVideo@aol.com. You can also visit www.secretlycanadian.com, orwww.antonyandthejohnsons.com to find out more about Antony & The Johnsons.